25 January 2014: Bob Inducted to the Hands of Fame! 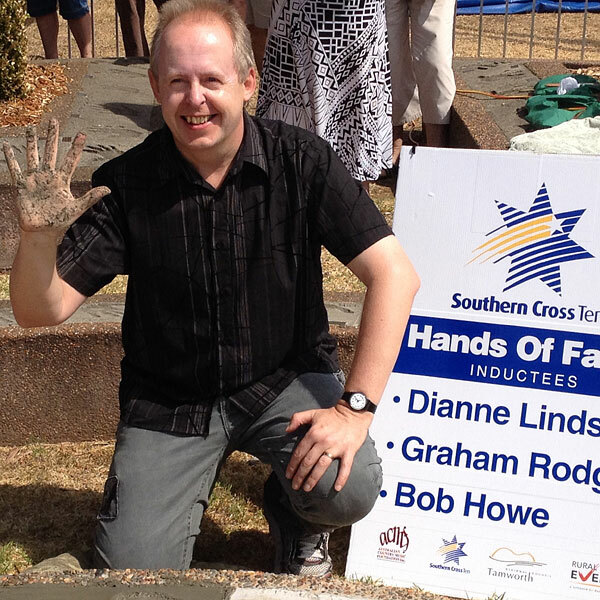 At the Hands of Fame Park in Tamworth NSW, Bob was inducted into the Australian Country Music Hands Of Fame along with Dianne Lindsay and Graham Rodger. 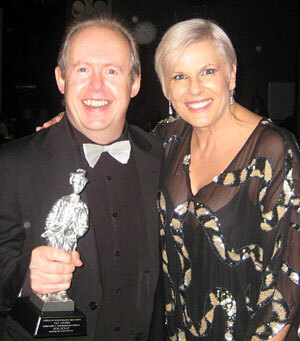 The ceremony was hosted by noted writer/broadcaster Jon Wolfe, one of the directors of the Australian Country Music Foundation. 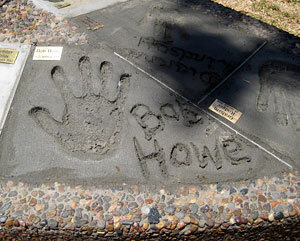 Bob, Graham and Dianne imprinted their hands in the cement and then inscribed their names with special quills, handmade by Noel and Dawn Smith. Bankstown Trotting Recreational Club, a sponsor of the 34th awards. (Dial-up connections should right-click to download and then play from their hard drive). 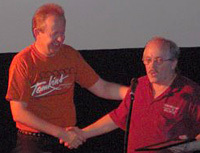 Photo above left: Bob receives his award from Bob Kirchner of the Country Music Bulletin. 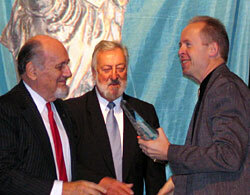 Australian Country Recording Awards 2006. 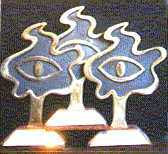 He was also runner-up in the Instrumental section. 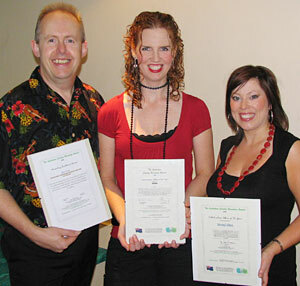 (the gorgeous SWEENEYKILLEEN) with ACRA certificates. 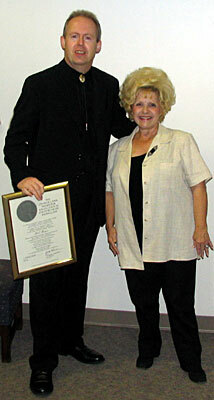 The inscription reads…”The Charlie Lamb Award for Excellence in Country Music Journalism was established to honor the working journalists who have devoted their lives to this genre of music. 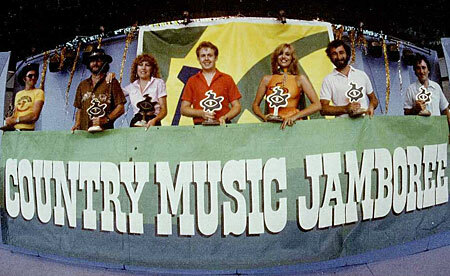 In recognition of his vast knowledge of country music, informative reporting and literary contributions, the 2004 “Lifetime Achievement Category” award goes to BOB HOWE. 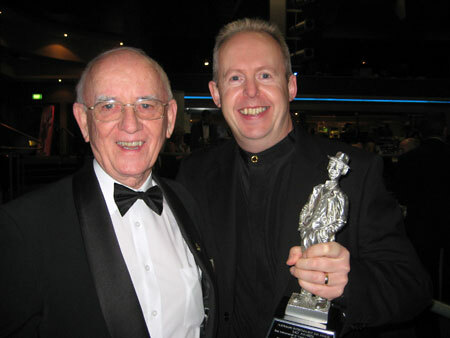 During his long and distinguished career, Howe columns and articles have appeared in a variety of publications internationally, as well as in his native country, Australia. However, his most significant contribution may be in the realm of internet journalism. 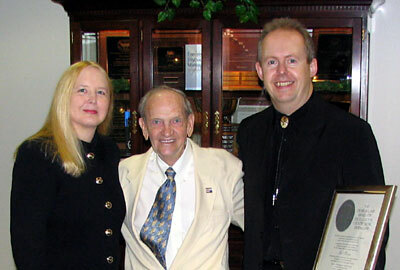 His website “Cowboys In Cyberspace” has long been a favorite destination for country music fans from around the world. The Colonel – The Extraordinary Story Of Colonel Tom Parker And Elvis Presley) and Lifetime Achievement winner Bob. for their involvement and contribution towards the success of the Galston Country Music Festival. 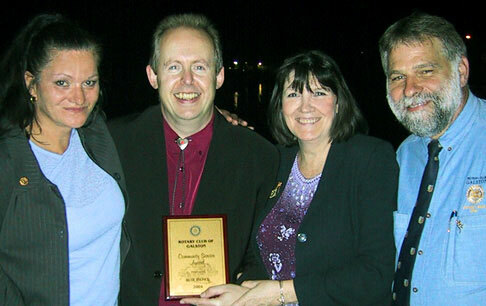 Pictured above, far left and right: Festival Directors, Vikki and Tony Page. 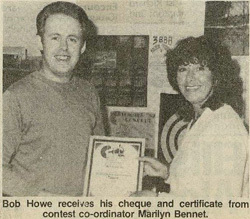 centre: Bob Howe and his wife, Karen.